Wilhelm Steinitz was born in Prague, Bohemia (now the Czech Republic). He learned to play chess at the age of 12 but his interest in chess developed while studying in Vienna. It was at this time that the great chess player, Morphy's exploits hit the headlines and there was a great revival in people's interest in the game. As an impoverished student, Steinitz saw chess as a chance of making money playing in the Viennese coffee-houses. By the age of 26 he was a champion of Vienna and a professional chess player. Steinitz came to London in 1862 to represent Austria in a tournament. Adolf Anderssen, currently the strongest chess player, won this tournament and Steinitz came 6th. Steinitz decided to settle in England where all the best players of Europe where at the time. In 1866 Steinitz defeated Anderssen in a match finishing with a score of 8 wins, 0 draw and 6 losses. Steinitz later claimed that this was the beginning of his world championship reign even though at the time the match occurred there was no suggestion of any title at stake. 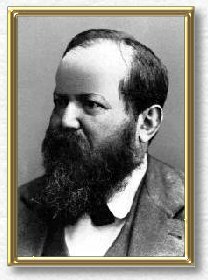 Steinitz went on to beat Anderssen at a tournament in 1868 at Aachen but Anderssen defeated Steinitz at a more	important tournament in Baden-Baden in 1870. After Anderssen's death in 1879, one of his pupils, Johannes Zukertort was Steinitz greatest rival. Zukertort had beaten Anderssen in a match in 1871 but when a match was arranged between him and Steinitz in 1872	Zukertort was thoroughly beaten. During the next ten years Steinitz didn't play much. However, he worked hard on his theories of chess. During this time in the history of chess, games were notable for their brilliant sacrifices and winning attacks. Steinitz went against current practice by maintaining that a game could not be lost without the loser making a mistake. He pointed out that if it had not been for defensive errors these great attacks would not have worked. He emphasised that a game contained a logical structure in which small advantages could accumulate to form large advantages and that attacks should be based upon a positional advantage. He attempted	to prove these theories in his games. Steinitz met Zukertort once again at the London International Tournament in 1883. Fourteen of the best players in the world were there to play two games against each other in a 26 round match. This was also the first official tournament to use a mechanical clock to time the games. Zukertort played magnificently winning 22 of his first 23 games and securing first place with two weeks of the tournament still to go. He was exhausted at the end and lost his final three games. However, he still finished three points ahead of Stenitz	who came second. Shortly after this tournament Steinitz left England to live in the USA and amidst bickering between Zukertort and Steinitz preparations for the first official World Championship match took place. The first official World Championship match began on Monday 11th January 1886 in the United States. The first part of the tournament was to take place in New York until one player had won four games. They would then move to St. Louis until one of them won three more games. The final part was to be played in New Orleans. The winner would be the first man to score ten wins. For the first time, a large demonstration board was used to replay the moves to the crowd of spectators that had gathered to observe the games and after each move had been played it was immediately cabled back to Europe where most people were supporting	Zukertort. At the end of the first stage Zukertort was leading by four games to one. In St. Louis Steinitz equalised and the score was now four wins each with one draw. In New Orleans the match remained close until game 15 with Steinitz leading by six wins to five with four draws. Zukertort then scored only one draw in the next five games and was showing signs of total exhaustion. Steinitz had scored ten wins to Zukertort's five and was the world champion. Zukertort returned to England frail in body and died two years later	at the age of 46. Steinitz was the first chess player to gain money from his tournament and match victories but he did not make enough to retire comfortably. He was compelled to continue playing chess long after he had reached his prime. He finally had a mental breakdown and spent the last part of his life in mental institutions. He died penniless on 12 August 1900.